To use the Montessori method to create an environment where children learn to trust themselves and feel the freedom to explore who they are. At Puddletown School we strive to foster a sense of self-trust in each child. Children have an innate hunger for learning and independence. Self-trust and confidence are important parts of developing independence. Even as they make mistakes, children are able to enjoy each learning process. This is especially evident when confidence is not tied to ability but rather to a sense of self-worth. At Puddletown School the teachers allow each child the freedom to make choices that feed their own developmental needs. The teachers encourage, redirect, and supervise, with gentle guidance. In a consistent classroom environment with established routines, children are freed from continually having to re-establish boundaries. The classroom becomes a secure place where children know what to expect. 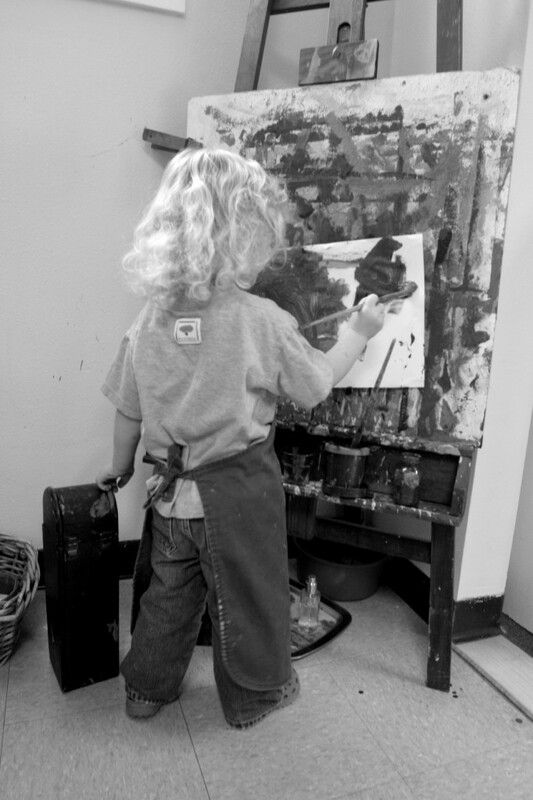 Puddletown School is an environment where children are free to explore and create in an atmosphere of respect.